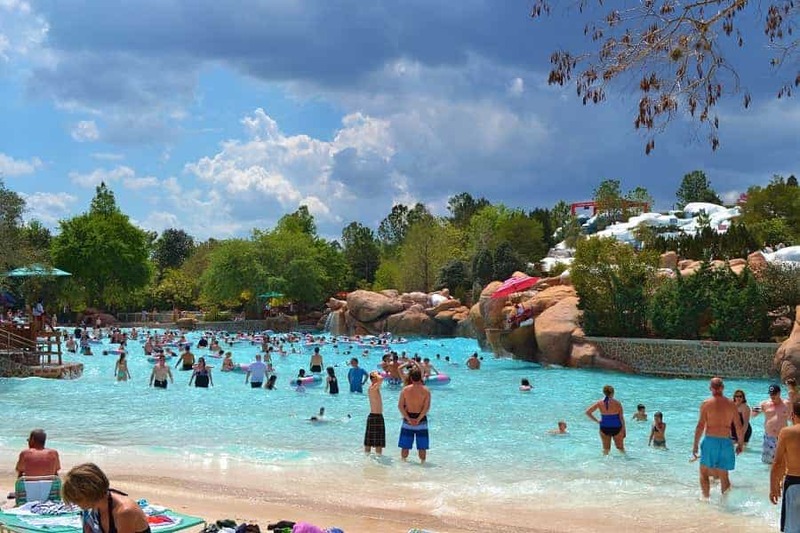 Looking for a way to cool off this summer while vacationing down in Orlando? 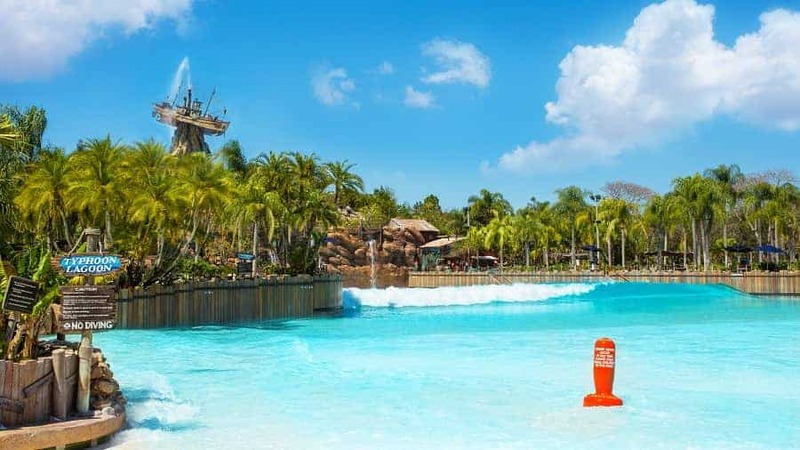 Beat the heat by spending a day at Typhoon Lagoon or Blizzard Beach! Both of these Disney water parks are filled with water fun for the whole family. While both are great ways to spend the day, they offer totally different experiences. Here is what you can expect to find at each one. 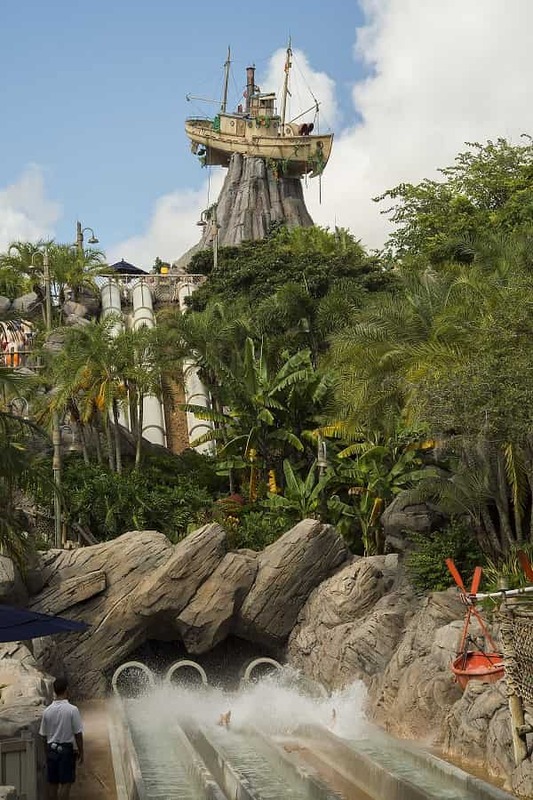 Typhoon Lagoon is built to look like a surfside playground left behind by a “great storm.” If you are looking to hit the waves at the enormous set of wave pools, the first thing you will notice is the mountain backdrop with a shipwrecked shrimp boat left dangling at the top. It was left there after the legendary typhoon. 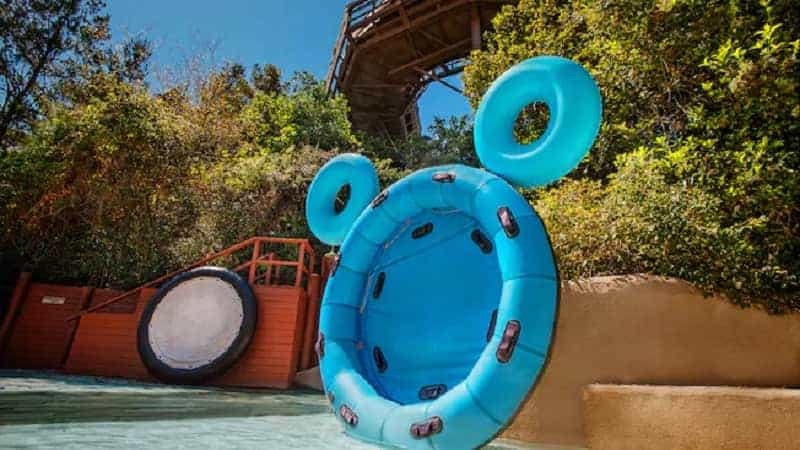 The main set of slides here at Typhoon Lagoon is Humunga Kowabunga, These three water slides drop guests down the mountain and through rocky caverns at speeds up to 30 mph. If you are looking for great family water coast rides, you will find plenty at Typhoon Lagoon! Crush ‘n’ Gusher, is a two person ride that takes guests on a gravity defying adventure up and down twisting caverns that lead to the tranquil waters of Hideaway Bay. 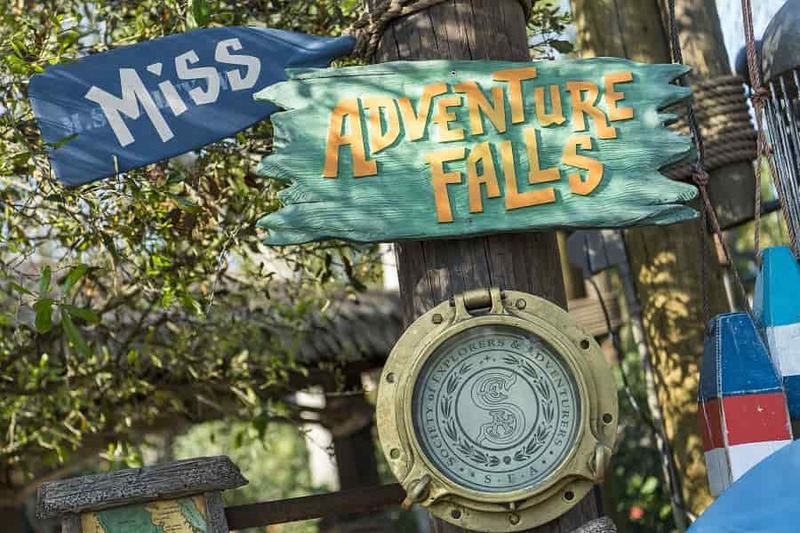 The newest family water experience is Miss Adventure Falls! 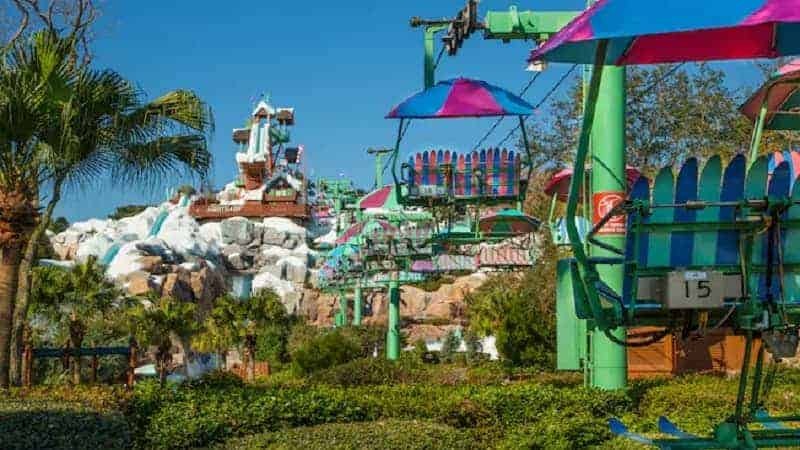 This family water coaster takes you on a journey that shows you the spoils from a sea-faring treasure hunter whose haul was caught in a rogue typhoon. 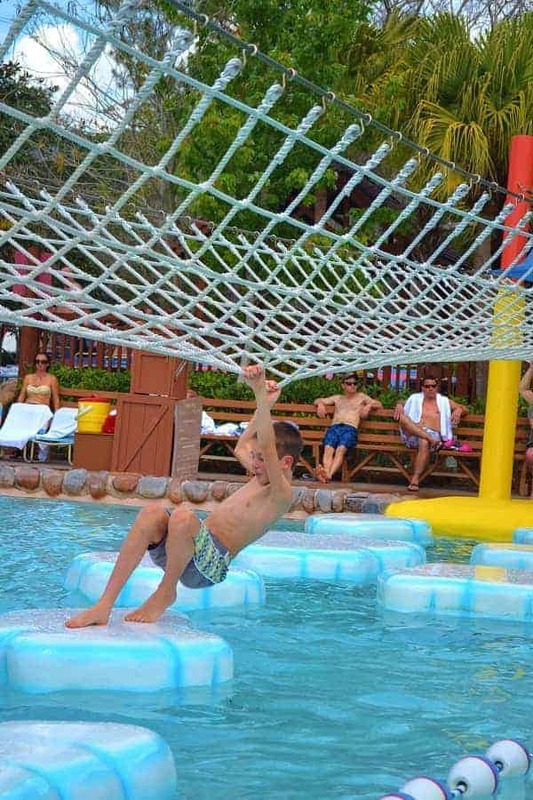 This is the LONGEST raft ride of the Disney water parks and full of fun twists, turns and adventure! Looking for chill time? Circling Tyhooon lagoon is Castaway Creek where you can hop on a inner tube for a relaxing tour through a misty rain forest and a hidden grotto. It is my favorite way of getting from one part of the water park to another! Little ones who aren’t quite ready for the larger water slides will find Ketchakiddee Creek full of adventure! It is a water playground that has geysers, fountains, bubblers, slides, & three interactive boats. 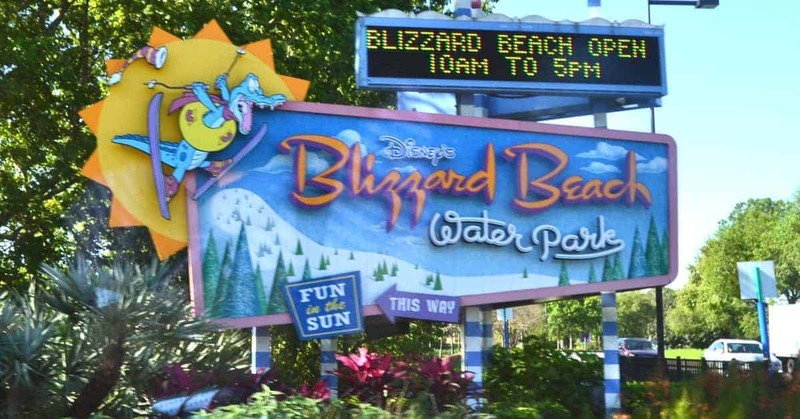 Disney World’s Blizzard Beach takes a totally opposite take on water park fun. It looks like an abandoned ski resort! Everything about it makes you feel a little cooler in the summer Florida sun. It is filled with a little something for everyone, and always scores big points with my entire family. 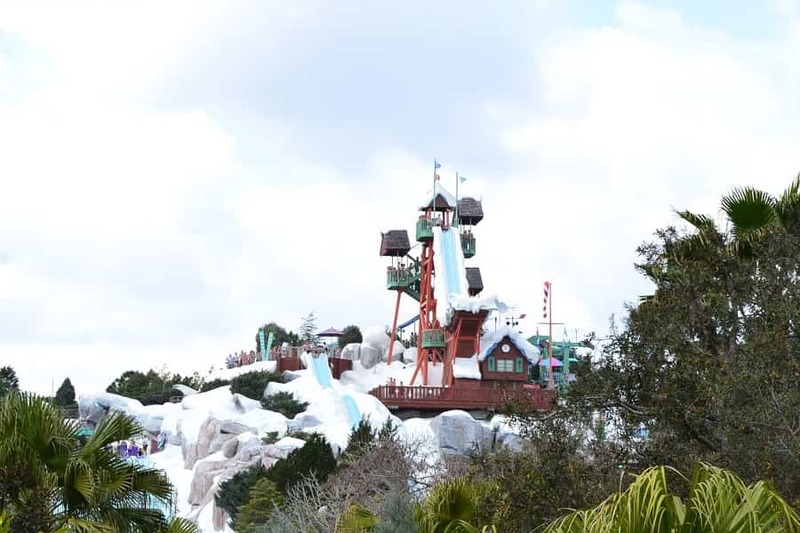 The focal point of Disney’s Blizzard Beach is Summit Plummet. This high thrill water slide stands at 120 feet and allows you to free fall at speeds 60 miles per hour. It’s the second tallest and fastest free fall slide in the world! If you like speed and have no fear of heights, this is the ride for you! 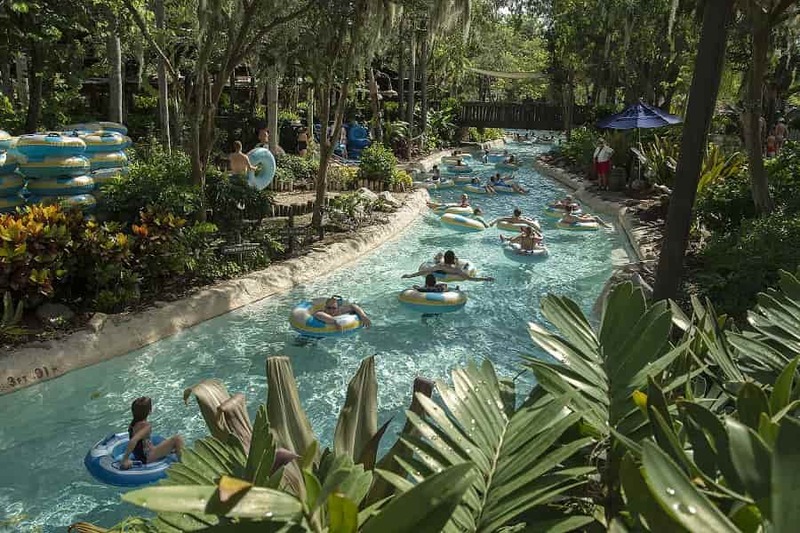 If speed isn’t your thing, you might enjoy a ride along Blizzard Beach’s Cross Country Creek. You will go through polar caves & cruise through a grotto before being diverted by bubbling geysers and leaky pipes along the way. Possibly our favorite family slide at Blizzard Beach is Teamboat Springs. In order to ride this water coaster, you must have a party of 4-6 people (no exceptions). What makes this ride so much fun? It is the world’s longest family white-water raft ride at 1,400 feet long and takes you on a series of twisting curves and down fairly steep waterfalls. Worried about having to walk all the way up to ride these two slides? No need. This ski slope turned water park has its very own chair lift that will take you straight to both Summit Plummet and Team Boat Springs! Over on Mount Gushmore, you will find single person slides like the Downhill Double Dipper where you can race side by side your opponent family member. If you like to go fast, you might want to check out Snow Stormers where you hop on a mat and go face first down the flume! If tubing is more your thing, check out Runoff Rapids on the Red Slope where you can tube down several different styles of flumes! Our Preteens loved Ski Patrol area. It has a lot of space for mom & dad to catch a few rays while the kids run off and just be kids. Not only do they have numerous slides, it also has a obstacle course at the leisure pool! Little ones who aren’t much for slides can find lots of things to do over at Tike’s Peak. Featuring small-scaled slides, tube rides and fountains, families with young kids will also find some much needed shade. Love wave pools? You might want to get your spot reserved early in the day for Melt Away Bay. This one acre water wave pool is large enough to fit huge crowds of people, but the same is not true for the seating area, especially if you want to be able to see your kids from your chair. Grab a chair early and then you can come back to it when you need to throughout the day. 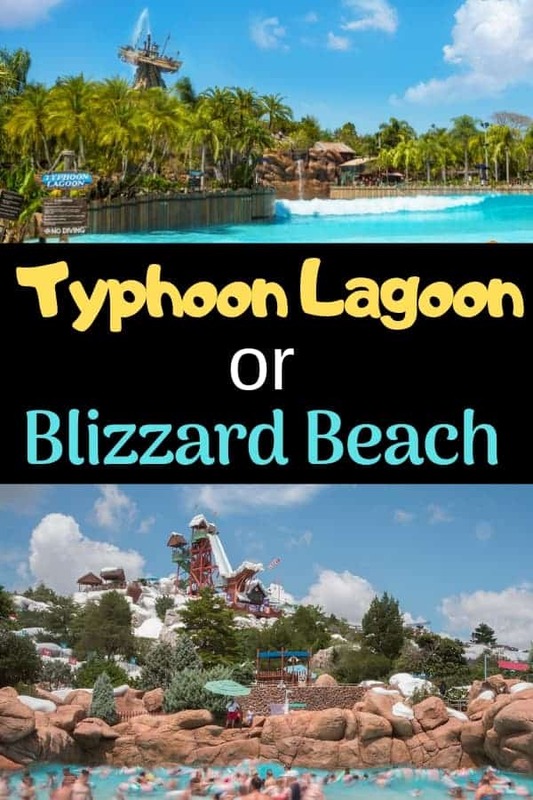 Choosing between Typhoon Lagoon or Blizzard Beach isn’t an easy decision! They both are pretty fabulous and have great things your family is going to really enjoy. Disney Water Park TIP: Bring your own cooler for drinks & snacks, but splurge on the Sand Pail Sundae! Which is your favorite? Typhoon Lagoon or Blizzard Beach?